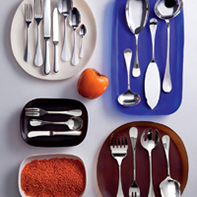 There are so many exciting choices in flatware, you are probably asking yourself, “Where do I start? 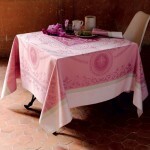 Which material should I select, and how many pieces will I need?” We break down the basics for you, so your table will look fabulous in no time flat. 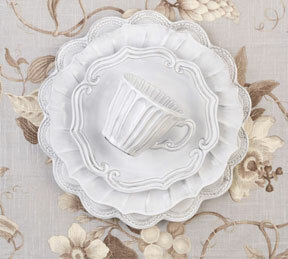 Sterling: Sterling silver flatware collections are true heirlooms. Sterling is made of at least 92.5% pure silver and an alloy (usually copper for added strength). Any piece of flatware that meets these guidelines is stamped with the word “sterling” to ensure its authenticity. 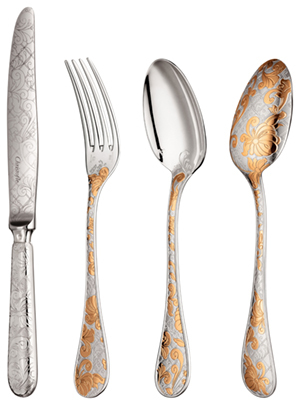 Sterling silver is very expensive, but it makes the most elegant and formal flatware. Compared to stainless, sterling has a warmer glow and may require occasional polishing. 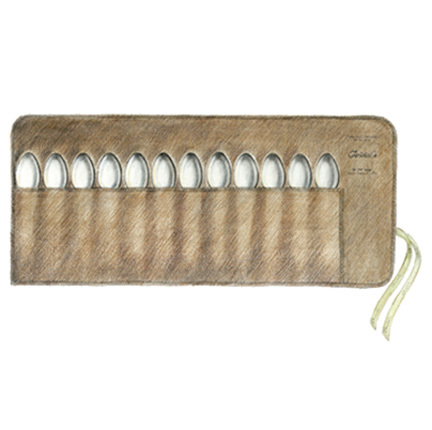 When not in use for prolonged periods, we advise keeping sterling in felt pouches to prevent scratches or tarnish. Silverplate: Silverplate is a dishwasher-safe, less-expensive alternative to sterling that can last nearly as long. A layer of 100% silver coats another metal, usually nickel or brass. Nickel is best, because it’s harder than brass and silver adheres to it well. The thicker the silver layer, the better the quality. 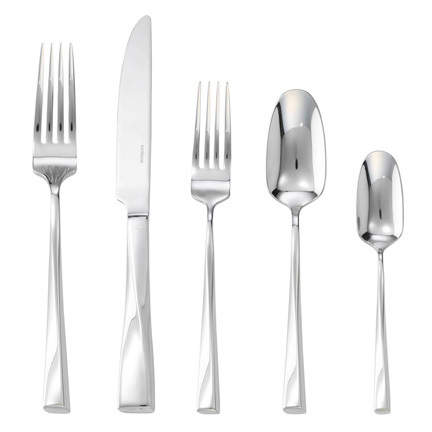 Stainless Steel: Most everyday flatware is stainless steel, which doesn’t rust, tarnish, chip, or wear out. Stainless steel is commonly defined as a metal alloy that contains a minimum of 10.5% chromium. 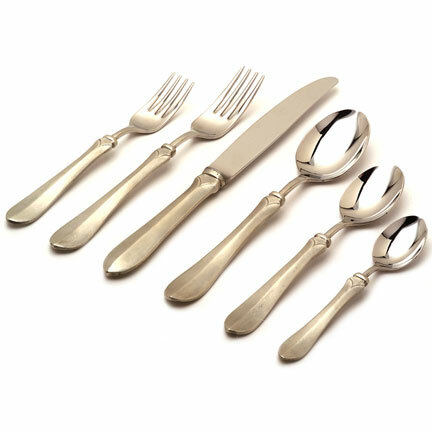 To make stainless steel flatware, chromium is added to steel for strength as well as rust and stain resistance. Nickel, another metal alloy, is also added to the steel for its brilliance and lasting finish. The grades (18/10, 18/8, and 18/0) refer to the amount of nickel, which prevents corrosion. The best grade is 18/10, because it is the longest lasting. Why is stainless steel “stainless”? Compared to other metals, stainless steel is particularly resistant to rust and discoloration because the oxide film in the metal absorbs common forms of discoloration. Keep in mind, however, that while stainless steel certainly stains less, it is not completely stain proof. 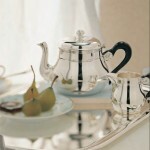 Pewter: In colonial America, pewter was prized for its strength and durability. Today, pewter products are sought after by collectors for their rustic feel and beautiful patina. Pewter does not require polishing. PVD: Is a thin ceramic coating deposited on stainless steel pieces, resulting in colored implements. It is very hard and resists abrasion well. Acrylic: Acrylic flatware with colored and patterned handles is sold in a rainbow of styles. Fashionable enough for formal events, it’s also great for everyday use. 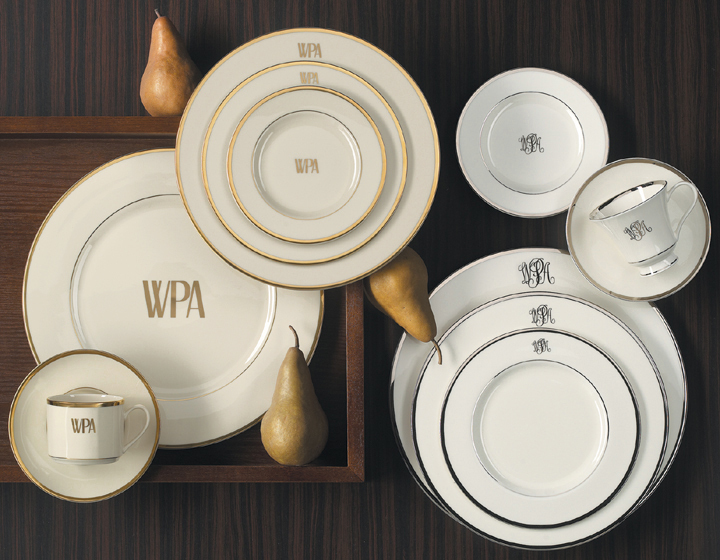 Q Squared’s London Chic collection, and Vietri’s best-selling Aladdin collection, are perfect for adding personality to your table setting. 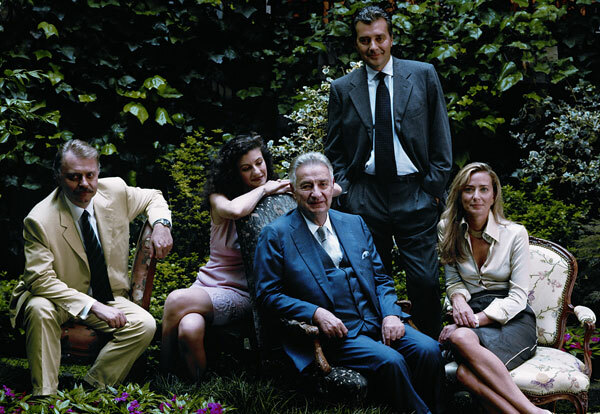 What is included in a five-piece setting? 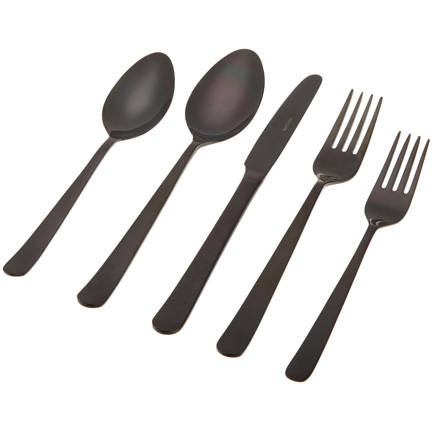 Five-piece place settings consist of the following: dinner knife, dinner fork, salad fork, tablespoon and teaspoon. Can I order additional flatware pieces? Yes. 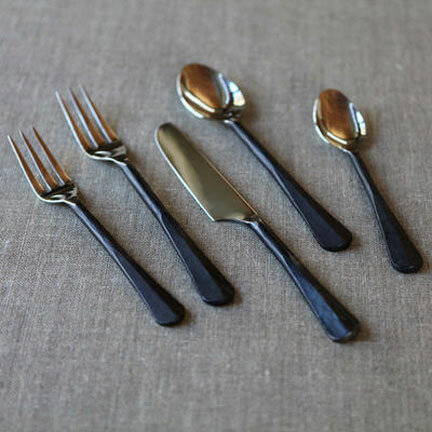 In addition to five-piece settings, additional pieces such as butter spreaders, fish forks and knives, demitasse spoons, salad servers, cake servers and gravy ladles are standard items in many collections. Please write us at service@graciousstyle.com for further information on any of our collections. How many flatware collections do I need? Generally, most people have at least one casual collection for everyday use (usually stainless steel) and one formal collection for selected occasions (usually sterling or silverplated). What serving pieces do I need? How do I care for stainless steel flatware? 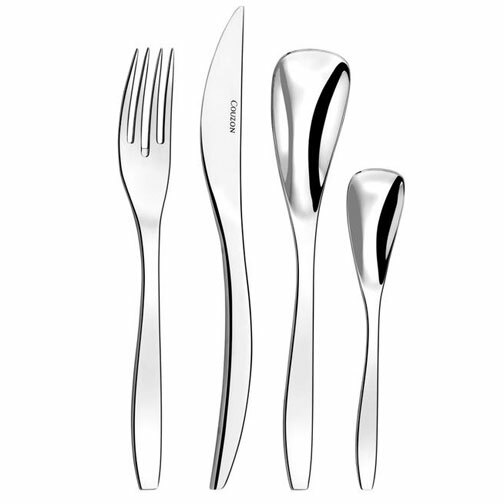 Stainless steel flatware is dishwasher safe; it can also can be washed by hand. How do I care for silverplated or sterling flatware? The best way to keep sterling and silverplated lustrous is to use it regularly. 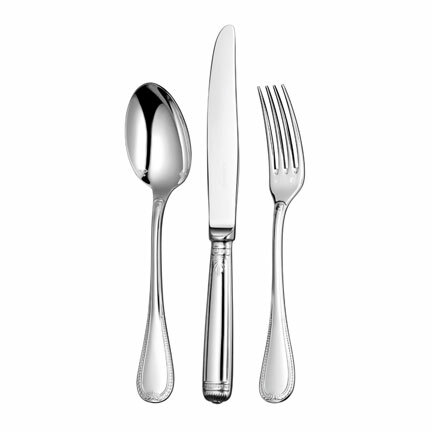 For optimal care, wash silver flatware in hot water with mild soap and dry immediately afterward with a soft cloth. Do not wash sterling and stainless together, as the steel will scratch the silver. Use a small amount of detergent, and one with no lemon or citrus additives. 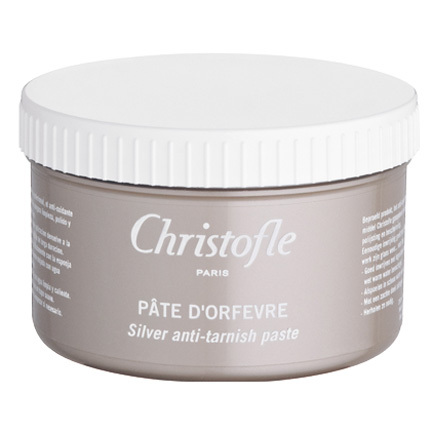 To clean individual pieces of silver, you can use a high-quality silver polish or foam (such as Christofle Cream Cleaner with Sponge). To view all our metal cleaning products and storage cases, click here. 1) Boil a pot of medium pot of water. 2) Line a pan with aluminum foil. 3) Place your flatware pieces inside the pan, one next to each other. 4) Pour boiling water over the flatware. 5) Add a few tablespoons of baking soda to your pan. While the solution bubbles up, watch the tarnish disappear from your flatware and onto the aluminum foil. Try this, it really works! How do I store my flatware? We recommend that you enjoy your flatware as much as possible. However, when not in use, flatware can be stored in a kitchen drawer (designated for this use) or kept inside felt bags. Do not wrap in plastic or paper, and do not crowd pieces to avoid scratching. What is the difference between standard and continental sizes? 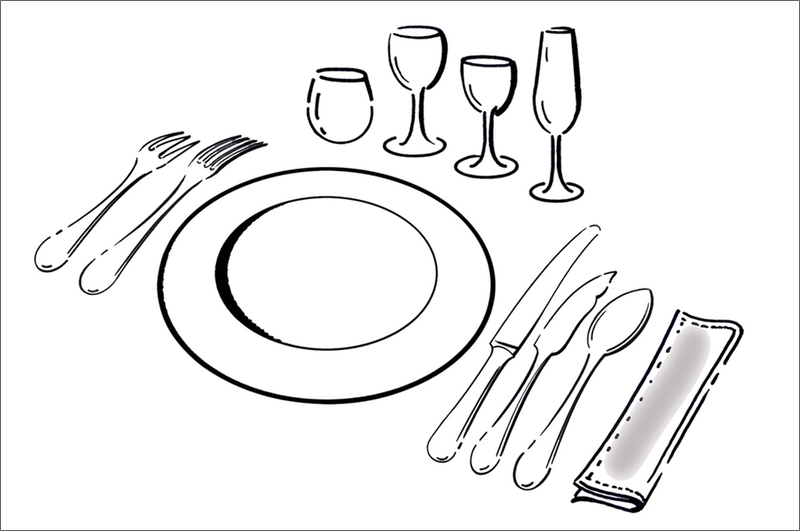 Standard refers the sizes of flatware commonly used with American table settings. However, for a more formal look, there are “continental” flatware sizes (also referred to as “dinner” sizes) that are larger and heavier than the standard. These are usually found in European flatware collections. What is the proper placement of flatware on the table? 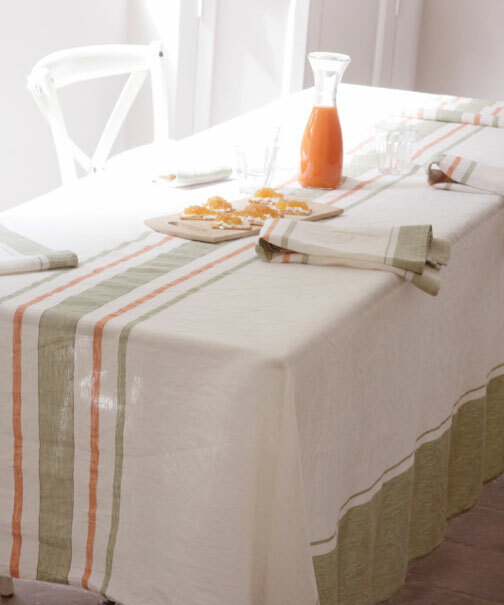 A basic five-piece setting is laid out on the table in order of use, in an even line, one inch from the edge of the table. The knife is placed to the right of the plate with the sharp edge pointed in towards the plate. The spoons are placed to the right of the knife. Forks are placed to the left of the plate. In France the fork is placed with the prongs facing down towards the table (the spoons are also placed facing downward); in the United Kingdom and the United States they face upwards. 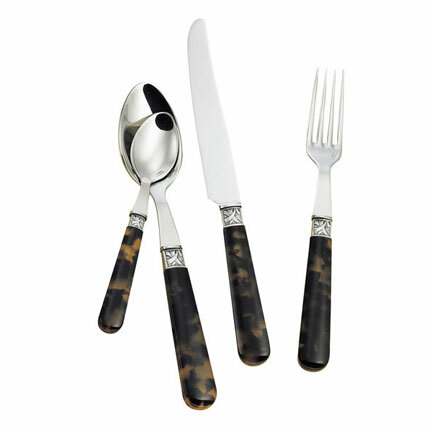 To view all our collections of flatware, click here. My fiance and I are currently registering for wedding gifts and we really need to pick out some silverware. I really want a set that will last and you mentioned that stainless steel is the longest lasting. This is definitely something I will keep in mind as I continue my search.